For individuals who wish to reside in the UK as the fiancé(e) or spouse of someone settled in the UK, they may apply to do so by submitting an application for leave as the partner of a person settled in the UK. This visa route will eventually allow the individual to apply for settlement in the UK. d) yourself and your partner are in a genuine relationship. This will involve providing documentation to verify the legitimacy of your relationship. 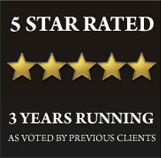 Westkin understands that this can be a very personal process for both yourself and your family and is therefore able to assist in ensuring that the relevant requirements are met. Should your application be successful you will be granted leave to remain in the UK for 2 and half years. However should you have entered the UK on a fiancé(e) visa your initial grant of leave will be for 6 month and will then need to be altered to a spouse visa once you have married. Before your leave has expired you should apply for an extension of your visa for a further 2 and half years, by demonstrating you continue to meet the above requirements. Should your circumstances have changed during this time, Westkin are able to advise on alternative immigration options for you. Typically an individual, who has completed 5 years under this visa category, will be entitled to apply for indefinite leave to remain in the UK. This will entitle you to restriction free travel in and out of the UK. Currently the requirements for indefinite leave to remain place an annual 180 day limit on time spent outside of the UK. Once you have been resident in the UK with indefinite leave to remain for at least 1 year, you will be eligible to apply for British citizenship. The current requirements for British citizenship request that applicants must not have sent more than 90 days outside of the UK within the previous year, or have sent over 270 days outside of the UK in the past 3 years. If you were to submit an application under this category you may also apply for your dependent children who are under the age of 18 and not currently in the UK, to accompany or join you in the UK. In order to meet the extra requirements for this you will need to show additional maintenance funds for this purpose and evidence that you have sole responsibility or that there are serious compelling reasons which dictate that your child should join or accompany you in the UK. Should you wish to enquire about this, Westkin will be able to advise how you can evidence this requirement based on your personal circumstances. Should you wish to apply under this visa category you may do so but either applying for ‘entry clearance’ before entering the UK or by switching to this type of visa if you already hold a recognised specific immigration status within the UK. 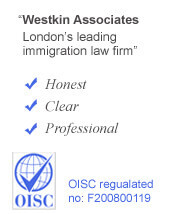 For further details on applying as a partner of a person settled in the UK, please do not hesitate to contact Westkin on 0207 118 7868 or fill in the enquiry form at the top of this page.